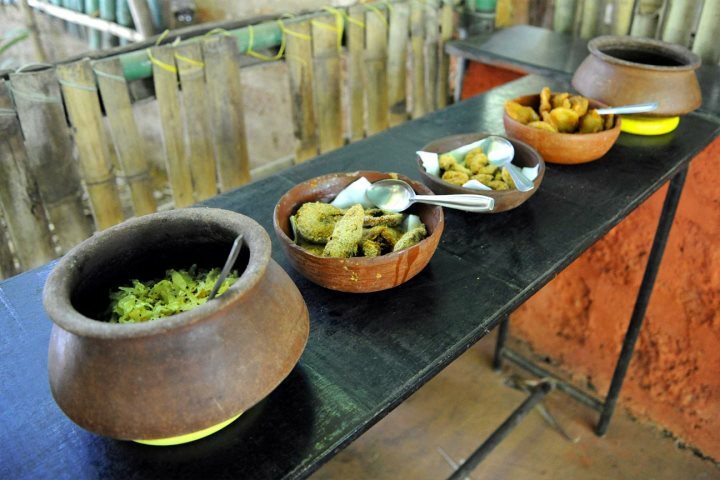 Blog > What is the food like in Goa (including special diets)? 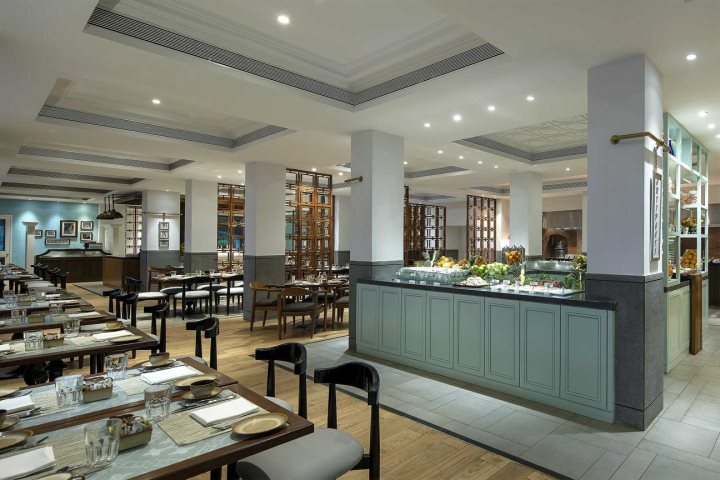 Kerry, one of our sales representatives, discovers how hotels and restaurants cope with special dietary requirements, including nut allergies and vegetarian diets. 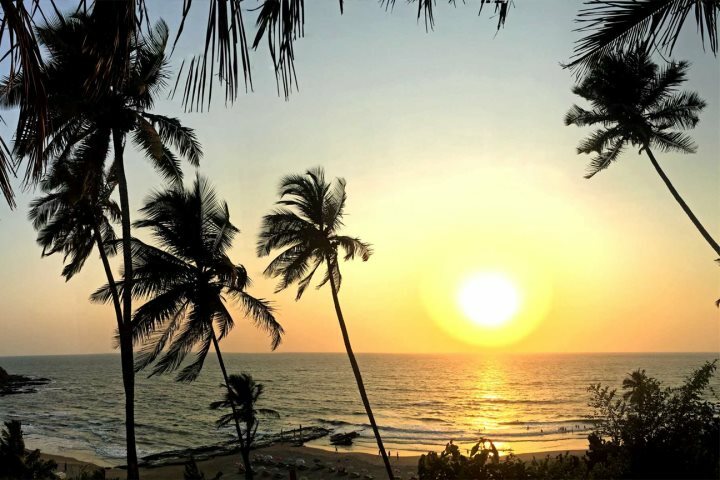 When I was offered a trip to Goa in April 2018 I was really excited – it was the furthest east I’d ever travelled and a great opportunity to visit a destination that was totally unknown to me. I was looking forward to the culture, the beaches, the weather, and experiencing the renowned Goan hospitality. One thing, however, that I was a little apprehensive about was the food. What is the food like and how will they cope with my nut allergy in Goa? We started our trip in the south of Goa and I quickly realised after my first few meals that my worries had been completely unfounded. In order to avoid stomach troubles, we'd been advised prior to travel to try and eat what we would usually eat at home for the first 24 hours, to give ourselves time to acclimatise. One of our first meals was a buffet lunch at The Leela, and with the above advice in mind I chose a jacket potato, but topped it with lamb curry and sour cream (advice is all well and good but I was keen to try at least a bit of authentic Indian curry and I do have a particular weakness for lamb!). The curry was delicious – fresh, full of flavour and not at all like the takeaway food my husband so adores. We had plenty of fresh warm garlic naan bread at the table, which was very tempting to fill up on, but given the extensive choice of the dessert buffet, we all went in that direction and over-indulged in various desserts which were all gorgeous. Lunch and dinner buffets at all the hotels gave us a great opportunity to sample local foods we were unfamiliar with as well as some UK favourites. Whether in hotels or restaurants, I was quick to tell the waiter that I have a nut allergy, and this was always carefully relayed back to the kitchen. Either the waiter or sometimes even the chef would then go through the menu or the buffet with me and point out anything I couldn’t eat. One of our party was a vegetarian, and she also had absolutely no problems at all – she was very happy with the menus and felt very well catered for. I've heard that gluten-free and veganism isn't genrally a problem either. A few days into our trip whilst staying at the Taj Exotica Resort and Spa, we were very lucky to be invited to have dinner in their Goan restaurant. Course after course of delicious Goan specialties were brought out (as well as lots of wine) and we had great fun sharing and trying a bit of everything. My particular favourite was a mushroom and truffle risotto, washed down with yet more wine! Our dessert plate was something else, lots of choice and all tasting heavenly. The whole evening was a real treat and a highlight of my trip. 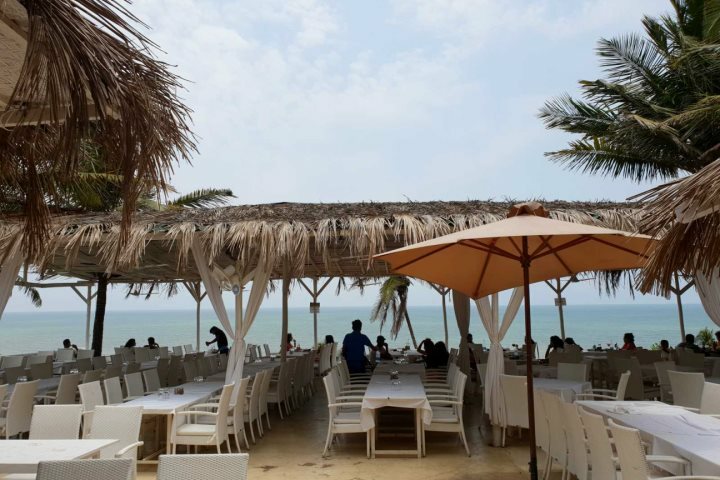 We wanted to try some local beach shacks and managed to eat at two – Zeebop in the south (pictured above and below) and Calamari in the north. Both had fun, informal atmospheres with small dance areas, enthusiastic waiters, great food, and Calamari especially had a very extensive menu. Here, two of our party shared a delicious looking lobster and prawn platter, while I opted for simple chicken and chips with creamy coleslaw. We indulged again for dessert, this time choosing lemon meringue pies from the fresh chilled cabinet. Another fun evening was at Thalassa, a Greek taverna in Vagator in the north, a restaurant and bar that is hugely popular, especially at sunset. It was recommended to us by several different people but our itinerary was busy and we didn’t have an evening free. 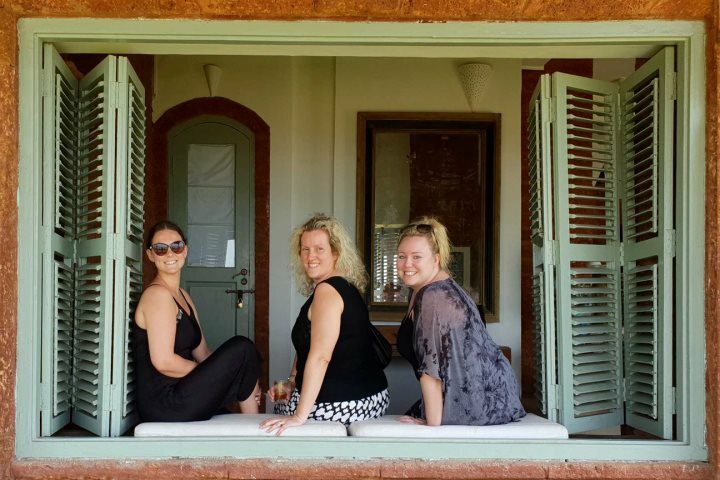 However, we popped in for a drink one afternoon and were so impressed by the views, the service and the menu, we managed to re-arrange our itinerary to ensure a dinner there that evening! We sipped cocktails at the bar while enjoying the sunset, then ordered loads of meze dishes to share and sat down for a feast! The owner and staff were very welcoming and the Saturday night entertainment was brilliant. It’s a busy, fun place, set on a cliff top so the views during the day and at sunset are spectacular — really worth a visit. To answer, what is the food like in Goa? I thoroughly enjoyed every meal I had in Goa, although the scales weren’t impressed when I got home. 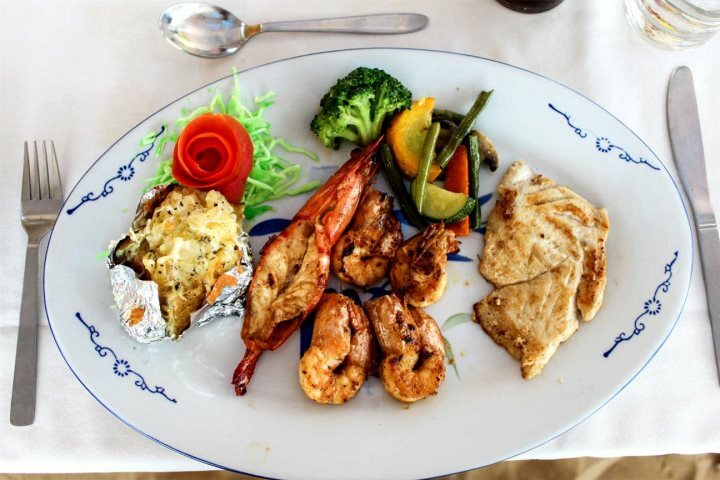 We ate in many different styles of restaurants from beach shack to 5-star hotels and I tried plenty of local dishes as well as international cuisine and typical UK favourites — and I couldn’t fault a morsel. What's more, I had no need to worry about my nut allergy as everywhere we visited was very helpful and the vegetarian in our party was also well catered for. 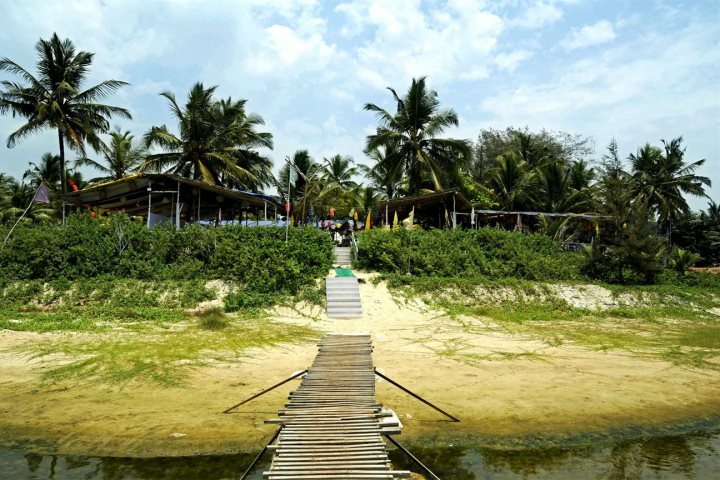 Still wondering what to eat in Goa? 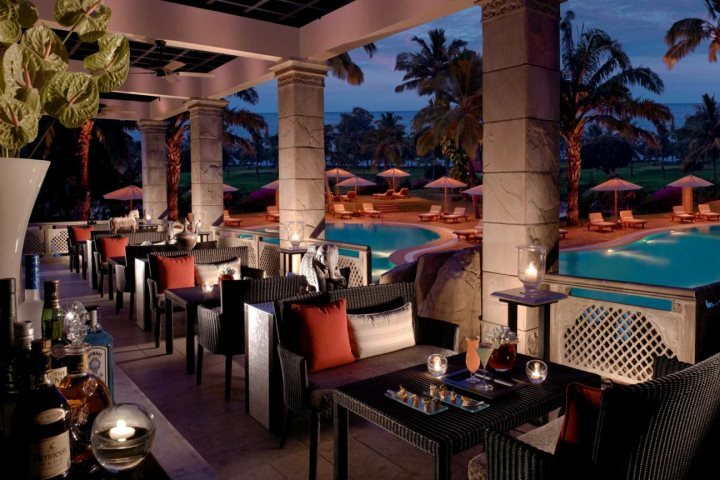 Check out our blog post Top 10 Things to Eat in Goa.